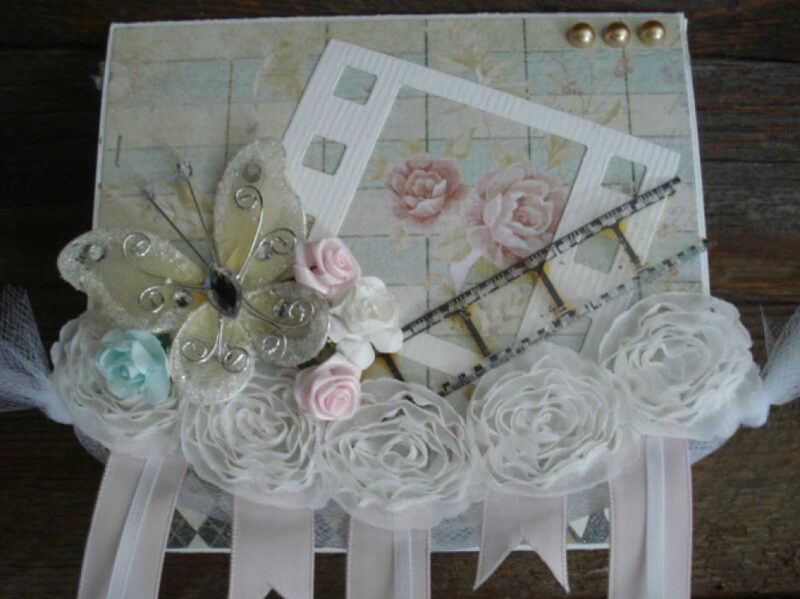 I CREATED THIS WEDDING CARD USING SIMON SAYS STAMP BLISSFUL CARD KIT. I STARTED BY STAMPING THE IMAGE WITH BLACK INK AND THEN USED MY PRISMACOLOR PENCILS TO COLOR THE IMAGE. WHEN I WAS FINISHED COLORING I ADDED SOME WINK OF STELLA CLEAR GLITTER PEN OVER THE TOP OF THE FLOWERS FOR SOME SHINE. NEXT I CUT THE WORD LOVE FROM THE BOTTOM PORTION OF THE CARD STOCK WITH MY #MFT LOVE DIE. I MOUNTED THE PIECE ON SOME OF THE PINK PATTERNED PAPER INCLUDED IN THE KIT AND THEN MOUNTED IT ON A TOP FOLDING A2 SIZE CARD. I STAMPED THE SENTIMENT FOREVER AND ALWAYS FROM THE SAME FLORAL BLISS STAMP SET, THEN ADDED A FEW PINK ENAMEL DOTS FOR AN ACCENT AND TIED A GREEN TWINE BOW FOR A FINAL TOUCH. INSIDE I STAMPED THE SENTIMENT LET THE BLISS BEGIN FROM THE SAME STAMP SET. < Previous My latest pocket letter creation. Denim fabric paper.